You’ve checked into your Brisbane hotel, and now you are deciding what to do in Brisbane. There are many wonderful beaches within an hour or two drive of Brisbane. 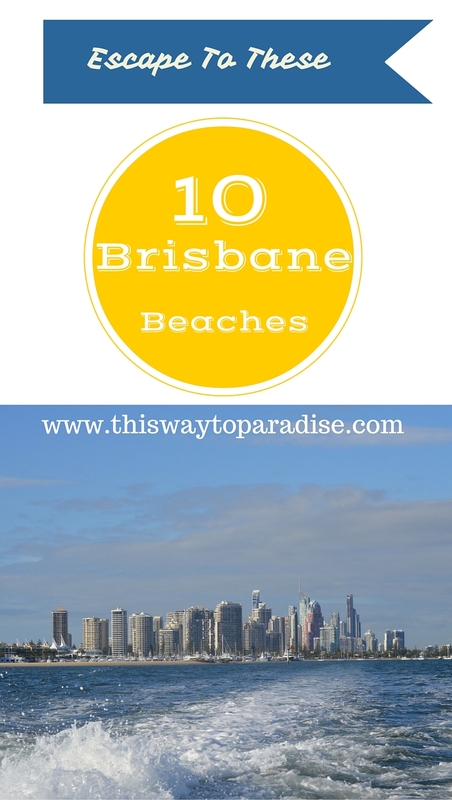 So, here are my suggestions to the Brisbane beaches (and those nearby) that you won’t want to miss. The sunrises are stunning at Shornecliffe beach. This beach has lots of tables and chairs and gas BBQ’s available that are shaded by large leafy trees. There is also an excellent fort style play ground for the kids and a safe swimming area in front of the BBQ area. There are great paths for walking along the shore. Coolangatta is a beautiful beach to walk along. The water is nice and warm, and the waves are good. The northern corner of the beach is known for its spectacular surfing. The sand is golden, and there’s a good choice of swimming on either end of the beach. What more could you want? Suttons Beach is a long stretch of white sandy beach, and has almost no waves. It is Redcliffe’s only patrolled swimming beach, and there are two fenced in playgrounds. 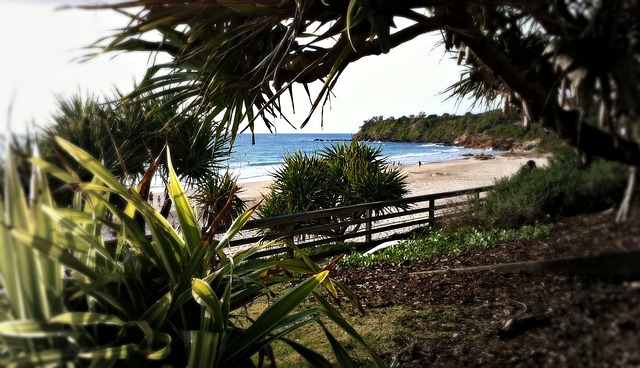 This is one of the best Brisbane beaches to take small children and families. Burleigh Heads Beach is an excellent beach for watching surfers and catching a few waves. 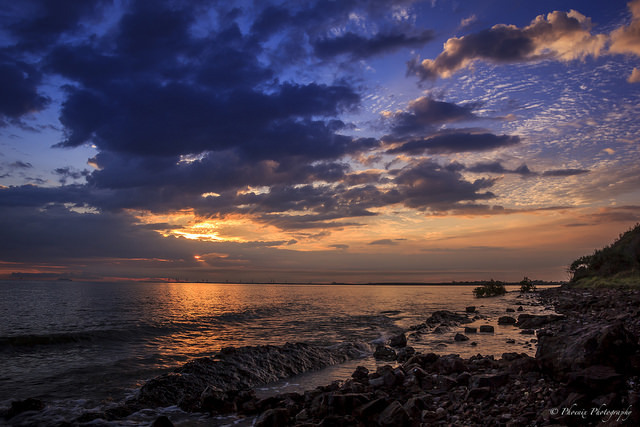 It’s another great beach for watching the sunrise, and it’s also great for families. It’s protected from strong currents, and there is a lifeguard station. 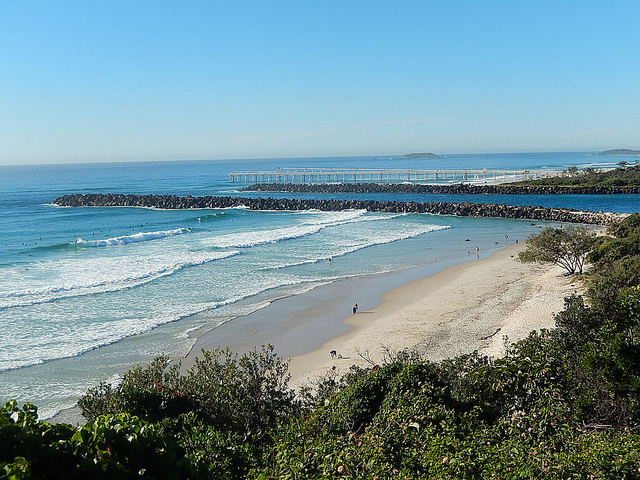 Currumbin Beach has amazing views and is also a great surfing spot for beginners. The beach is perfect for families, the water is clear, and it’s patrolled during the summer months. There are magnificent sunrises. Streets beach is a unique, man-made swimming beach, and is Australia’s only beach in the middle of a city. 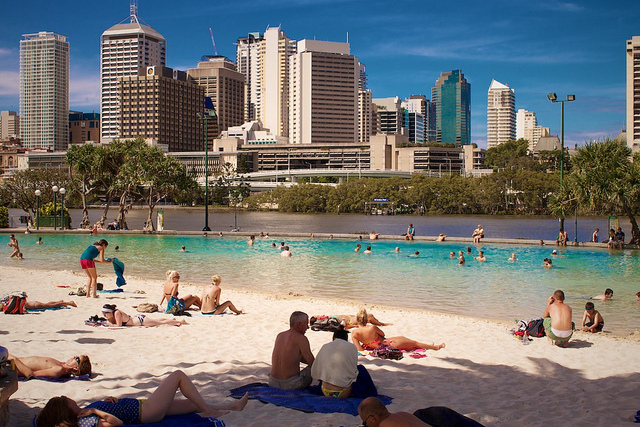 Due to the lagoon’s clear waters, the view of the city, and the soft white sand, this is one of the Brisbane beaches that’s extremely popular, so expect crowds when you go. 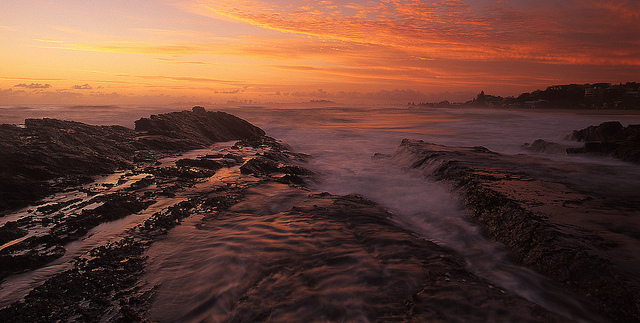 Rainbow Bay beach is 100kms south of Brisbane and is at the southern end of Coolangatta. 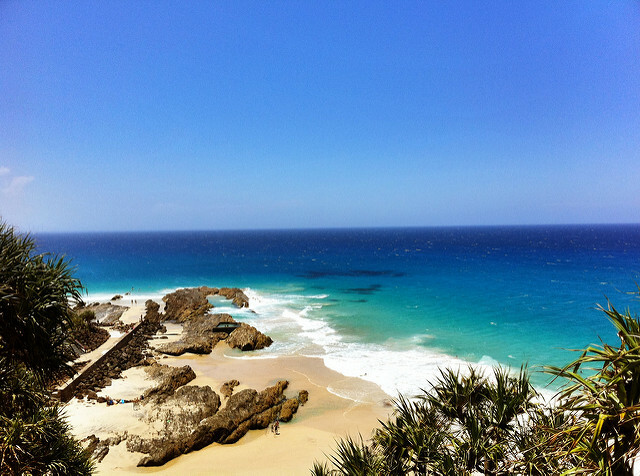 It’s a favorite of surfers, and this beach holds the annual Quiksilver Pro World Surfing Event. This beach is also great for families. Scarborough Beach, 30 kilometres (19 mi) north-northeast of Brisbane, has two play areas and gnarled cottonwood trees for the kids to climb. There are many walking paths along the beach which you can also bike along. It’s a safe swimming spot as well. 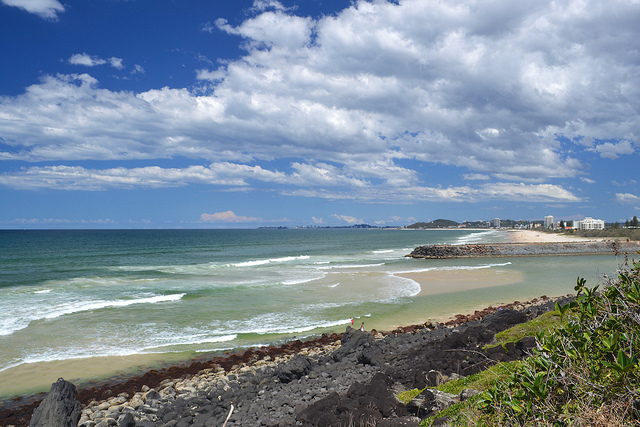 Coolum Beach is a patrolled beach that offers great surf. It’s a long beach with beautiful sand, and it’s an easy place for families to swim. There are many, bars, restaurants, cafes, and shops close to the beach, and it’s easy to walk to nearby bays. Some people say that Greenmount is one of the most beautiful beaches in the world. The water is crystal clear, the water is warm, and the sand is perfect. Lifeguards are on duty at all time. There is a good surf club restaurant that overlooks the beach. You’ve picked some of our best here that’s for sure. That’s why we love living in the great outdoors.